Normans Alert - Is your Commonwealth Funding Secure? In the recent further decision of the High Court in Williams v Commonwealth of Australia  HCA 23 (delivered on 19 June 2014), the High Court confirmed that funding arrangements between the Commonwealth and Local Government are potentially compromised on the basis that they are not constitutionally valid. This reinforces its decision from 2012, which was the subject of our Briefly Alert at the time (accessible here). The implications of this decision on the local government sector in South Australia are not entirely clear yet. What is clear is that the concerns for the sector identified in our earlier Briefly are still live, notwithstanding the legislative changes which the Federal Government implemented to overcome the constitutional difficulties identified in the earlier Williams case. To deal with these constitutional issues in May 2013 the Rudd government announced its intention to hold a referendum on the recognition of Local Government in the Constitution. However, when Prime Minister Rudd announced last year’s 7 September election, he effectively postponed the referendum until the next parliamentary term. The Abbott government has yet to announce whether it intends to proceed with the referendum or not, though given the handing down of the most recent Williams decision, an announcement should be imminent. In the absence of such a referendum, funding programmes to Local Government, including Roads to Recovery may be invalid in their current form. Any referendum is likely to seek to amend the Constitution to give “financial recognition” to Local Government by amending Section 96 of the Constitution. The substantive effect of the likely amendments would be to give the Commonwealth the power to directly fund local government bodies rather than having to provide funding to the States which would then flow on to Local Government. While the Commonwealth’s capacity to provide indirect funding is unquestioned, its constitutional ability to provide direct funding (which supports the Roads to Recovery programme amongst others) is cast into doubt by the recent decision in Williams. We will continue to monitor developments in this area and will provide further information as it comes to hand. For more specific information on any of the material contained in this article please contact Mary-Alice Paton on 08 8217 1357 or mpaton@normans.com.au or Mark Henderson on 8210 1220 or mhenderson@normans.com.au. Register today! Last day of Financial Year. 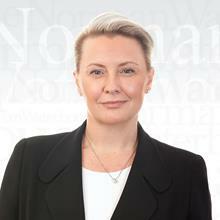 Norman Waterhouse are celebrating 25 years of the Normans Local Government Conference, South Australia's leading conference for local government. You're receiving this newsletter because you signed up on the Norman Waterhouse website.